NOTE: Shared Labels feature has been discontinued. After you have created a Shared Label, you can create sub labels under it. The sub labels under a Shared Label will also be shared and have the same properties of the parent Shared Label. Note that it can take Hiver up to 45 minutes to detect and automatically share sub labels created under a Shared Label. 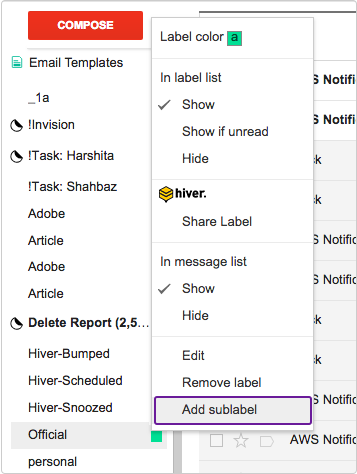 If you need to edit a Shared Label, move it under another Shared Label or delete it, make sure you perform these actions from the Hiver Admin panel, and not directly in Gmail. Read on to learn more about this. 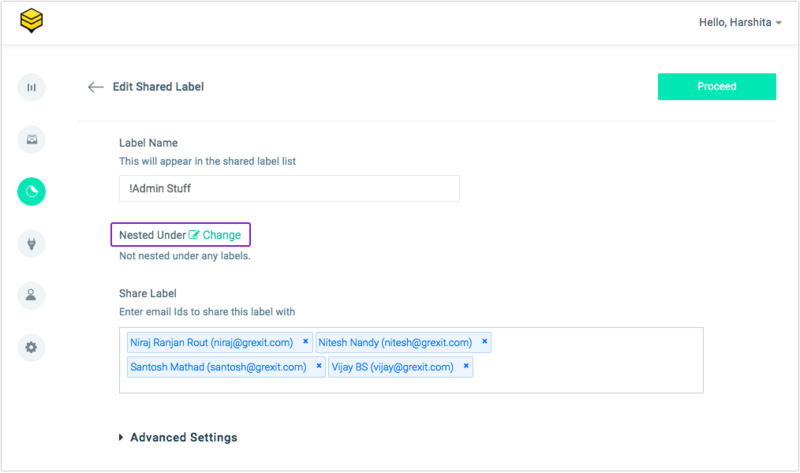 Mention the name of the parent Shared Label under which you want to nest the given Shared Label. Hover your mouse over a Shared Label on the left pane of your Gmail to find a small arrow. Enter the name of the Sub Label that you want to create in the box that opens. Click on the delete icon and you will be able to see a dialog box where you will have to verify your action before the deletion takes place. 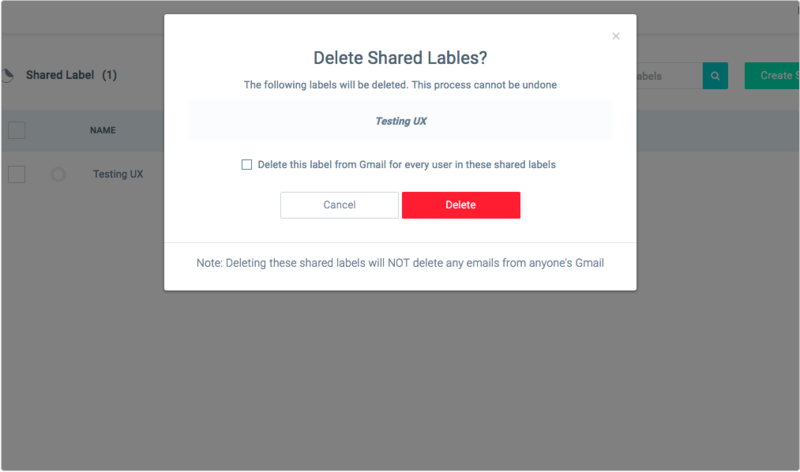 Deleting a Sub-label will not affect the Parent Label but deleting a Parent Label will delete all the sub-labels under it automatically.